Apple’s hardware event at the end of October announced several new products to the world and many of them contained Apple’s new T2 Security Chip. This chip brings extra features to Apple products, particularly in the area of security, but also makes life harder for any Apple third-party repair services. The T2 chip acts as a co-processor which performs a number of functions including providing the foundation for the new encrypted storage and secure boot capabilities. The secure boot feature is where problems will occur as the chip will check the device when it boots up to ensure the hardware or software has not been tampered with. If this more restricted approach to repairs has you debating your next choice of laptop, have a look at our best laptops guide. This chip could see ‘unofficial’ repairs as tampering and so may cause issues with the device, such as not allowing it to boot or use certain functions. Sceptics are claiming that Apple is attempting to take away market share from third-party repair services with this move, as these T2 chips ensure that repairs involving certain components such as the logic board and Touch ID Sensor, can only be done by Apple approved technicians. These reports initially came out of MacRumors and Motherboard which both reportedly got their hands on an internal document. Apple has long had reputation for making it more difficult for DIY enthusiasts and third-party repair services to access the inner workings of its products due to their sealed nature. 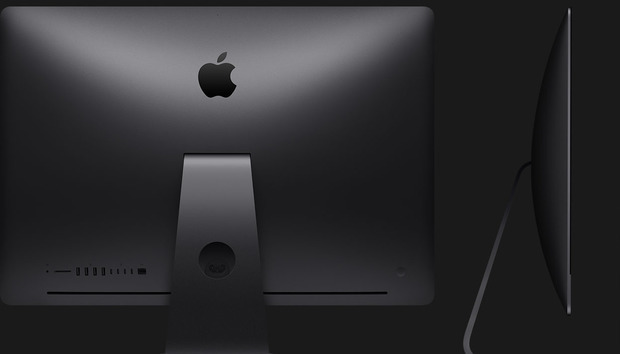 According to the document where this information is detailed, the display assembly, logic board, top case and Touch ID board for the MacBook Pro and the logic board and flash storage on the iMac Pro are the areas where access to the AST 2 System Configuration suite will be required. This is only supplied to Apple Stores and other certified sources.